Oil prices took a nosedive Thursday in a historic selloff, erasing weeks of gains and indicating that the months-long climb in energy prices may have hit a ceiling. Crude oil plunged 10 percent as startled investors unloaded their positions and a weeklong decline accelerated into an outright freefall. The price of U.S. crude went from triple digits to double digits, falling below $100 after opening at close to $110. Brent crude, a European benchmark, lost $12 at one point in a sell-off that exceeded the one following Lehman Brothers' collapse, Reuters reported. An oil correction is underway, experts said, as the price is moving toward what fundamental economic factors dictate it should be. For the American consumer, plagued by weeks of rising energy prices that have begun to weigh heavily on the economy, a bit of respite may be at hand. "This is just a market that rolled over and started feeding on itself," said John Richards, head of North American strategy for the Royal Bank of Scotland. It's difficult to say what exactly caused the fall. After the news broke Sunday evening that Osama bin Laden was killed, stocks rose and oil prices declined. Stocks later came down from that high, but oil kept declining. On Thursday, the news broke that applications for unemployment benefits jumped last week by the largest degree since August, indicating that high unemployment still drags on the economy. But experts said it's impossible to pin the oil price decline on any single factor. "There was no triggering single event of news that would account for this. It's just much more the market's own internal dynamics taking prices down here," Richards added. The price of oil has shot skyward in recent months, as fighting escalated in the Middle East and investors feared a supply shortage. Even as the Organization of Petroleum Exporting Countries pledged to correct any oil supply disruption, the price of a barrel of crude continued to rise. As of the recent peak on Friday, Brent was up 50 percent compared to this time last year. Oil prices had reached levels not seen since the summer of 2008, when months of record-high energy prices helped drag the U.S. economy into recession. And the price of gas followed. 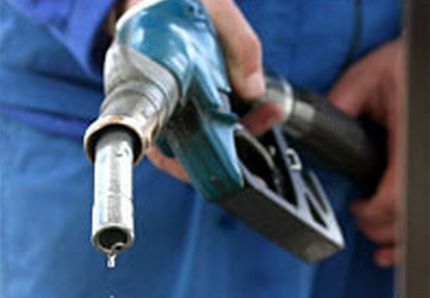 A gallon of regular gas in the U.S. now costs an average of nearly $4, according to the American Automobile Association. That has strained the economy in myriad ways, increasing transportation costs for consumers and businesses and generally making people feel poorer. As prices continued to rise, economists slashed their forecasts for U.S. economic growth. Almost half of Americans in a recent survey said they had cut back spending or canceled vacation plans due to high gas prices, according to the Royal Bank of Canada, which released its latest U.S. Consumer Outlook Index on Thursday. As energy prices have pushed up transportation costs across the board, a fifth of Americans have scaled back plans because of high air fares, RBC said. But that trend appears to be reversing. "Prices can't go up forever," said Mark Vitner, a senior economist at Wells Fargo. "The threat was very real, but it's also very self-correcting." The effect of Thursday's market move on gas prices remains to be seen. But experts said it's a correction that was long overdue. "Clearly these markets were overblown," said Nariman Behravesh, chief economist of IHS Global Insight. "We've been saying all along the fear factor has probably added 10 to 15 dollars to the price of a barrel." Gas prices continue to rise -- even while the oil used to make it drops in price, say analysts. The national average price for gas this week is $3.96, according to the Department of Energy. Hawaii still has the nation's most expensive gasoline as of today, but the nation's heartland is catching up. In Illinois, the average price is $4.32 a gallon, according to AAA's Daily Fuel Gauge Report. That's even higher than the average in California, $4.27, which is known for its high pump prices. Indiana is catching up with an average of $4.24 for regular gas. At least drivers in those states are facing cheaper prices than those in Alaska. At one gas station in that state, gas was selling for $6.79 a gallon. To top those prices, just head to the car rental counter. You may face $9.29 a gallon if you don't prepay for gas or fill up the tank yourself. With an 11-gallon tank in one car, for example, car renters could pay about $100. For larger vehicles, it could cost over $280. The price of oil, on the other hand, is dropping. For the first time since March 16, the price of a barrel of oil settled today below $100. The massive sell-off was sparked by lower consumer demand for gasoline, an improvement in the value of the U.S. dollar and concerns about slowing global growth. The New York Mercantile Exchange reported that oil futures settled at $99.80, down $9.44 or 8.6 percent for the day. That is the biggest one-day move down in percentage terms since April 20, 2009 (-8.84 percent) and the biggest in nominal dollar terms since September 29, 2008 (-$10.52). On Friday the Labor Department releases its April jobs report and economists are expecting about 185,000 new jobs created. But if the report disappoints analysts, then the big oil selloff will almost certainly continue in a big way. The latest government measure of demand for gasoline in the U.S. shows that overall, drivers have cut back gas purchases by almost 2 percent in the past four weeks compared to a year ago. That kind of significant downward move in demand, coupled with rising stockpiles of oil in the U.S., mean prices of crude should be headed downward. Phil Flynn, energy analyst for PFGBest, said he believes we've seen the market top for oil -- at least until the middle of the summer driving season. "Our long national nightmare might be over," said Flynn. But don't get too excited yet. Prices at the pump likely won't come down as quickly as the futures prices for oil. Economists say that historically, gas retailers will let their margins expand a bit before passing those savings onto consumers.